<!-Kerr Eby. 1890-1946--> Kerr Eby. Porthleven, Cornwall. Porthleven. 1925. 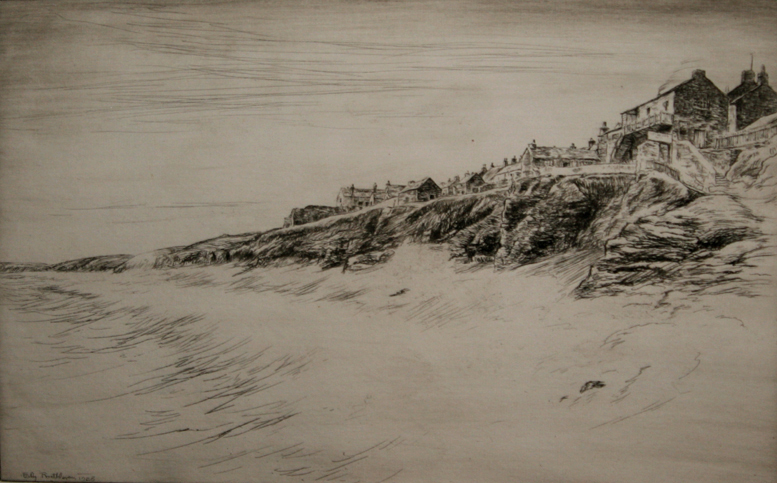 Etching and drypoint. Giardina 104.ix. 8 13/16 x 14 1/8 (sheet10 3/4 x 15 11/16) . Trial proof, apart from the edition of 90. 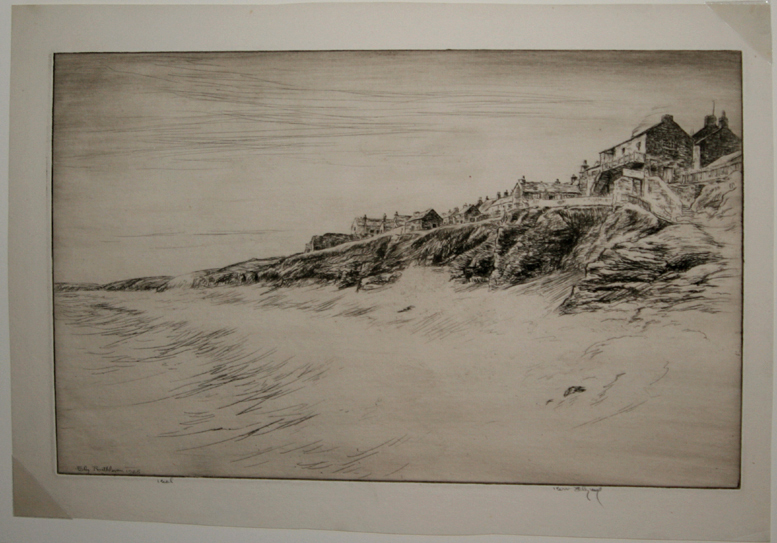 Illustrated: American Etchers: Kerr Eby. An extremely rich impression printed on cream wove paper. Signed and annotated 'trial' and 'imp' (imprimit) in pencil, indicating a proof printed Eby. $250. Porthleven is a town, civil parish and fishing port near Helston in Cornwall, England, United Kingdom. It is the most southerly port on the island of Great Britain,and was originally developed as a harbor of refuge, when this part of the Cornish coastline was recognised as a black spot for wrecks in days of sail. Nearby Loe Bar was particularly infamous, with swimmers and surfers being warned off the area to this day.